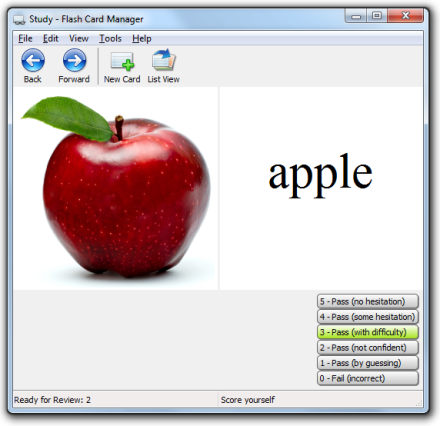 Flash card software that makes learning fast, easy and fun. Create flash cards with images and rich text. Automatically displays flash cards you need to study most. Powerful flash card printing capabilities. Import and export flash cards to share.